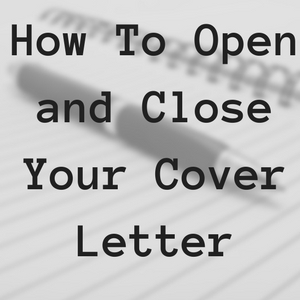 It's highly unlikely your cover letter will be read by either the hiring manager or the recruiter; however it still doesn't mean it's not crucial for your job application to not include a cover letter. If a company places a job advert on a major job board, it's likely they'll receive thousands of applicants. Even companies with an established internal recruitment team, have little or no chance of getting through thousands of resumes in a short period. Job boards are global, as a result, it's not uncommon for a single job advert on a significant job board such as Indeed or LinkedIn to receive two thousand applicants in a week. For the average recruiter, they will spend one-minute loading, reading and making a decision on whether to take your CV forwards. 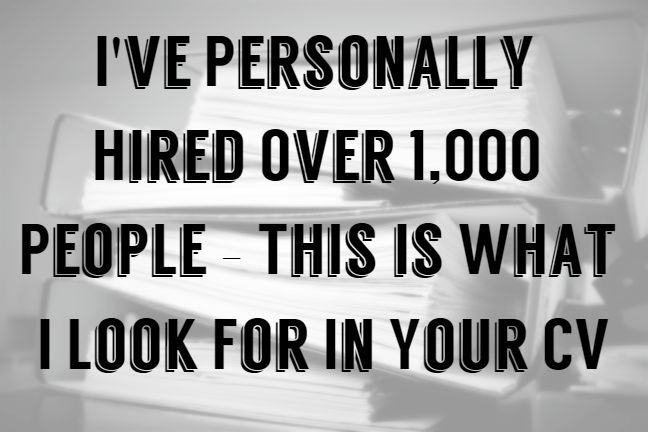 This means, to get through all two thousand CV's, it would take one recruiter over three day's just to read them all. Recruiters will probably manage forty jobs at any one time and do not have the time to spend three days reviewing CV's for a single job. Technology has allowed recruiters to use applicant tracking systems (ATS) to sort through thousands of CV's quickly based on set keywords. Company Specific Keywords - These are keywords that are specific to the company that you're applying to. An example, Google's Mission Statement is to "organize the world's information and make it universally accessible and useful." If you're applying to Google a great opening line could be something along the lines of "I want to work for a company who helps to organize the world information and make it universally accessible and useful," you can be confident that it will be picked up and read. Job Advert Specific Keywords - These are the keywords that are specific to a single job advert. Typically job adverts will contain specific experience requirements, qualifications or position requirements such as traveling. You need to make sure that these keywords are on your CV and cover letter as they will be used in combination with an applicant tracking system. Position Specific Keywords - These are the keywords that are specific to your chosen career and will include relevant qualifications, position titles and knowledge titles that are relevant to the position. Your CV is a great place to put keywords to beat an applicant tracking system. Realistically, there is only so much space on your CV for keywords. Your Cover Letter, therefore, becomes a fantastic place to get a selection of further keywords that are relevant to your chosen career and position you're applying for. 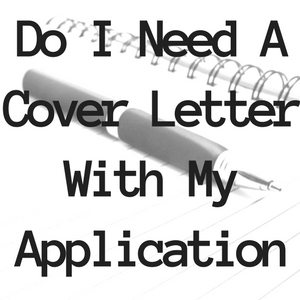 The best way to write your cover letter is to think of it as a document that in short says, "I want to apply for this role," however actually says, "I want to apply for this role and here's a selection of keywords that are relevant to my job application. The First Rule of "How to Write a Cover Letter"
Do Not Just Repeat what you've already mentioned on your CV. This is a fundamental rule and will stop the hiring manager from reading your CV. Have you ever read something a few times? What usually happens? The first time you read the page carefully, the second time, you skim-read the page not concentrating. If your Cover Letter has the same information as your CV. 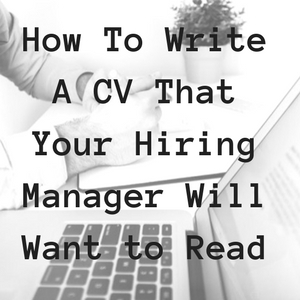 The hiring manager will read your cover letter and skim-read your CV. Any vital information, such as your achievements, will most likely be missed. 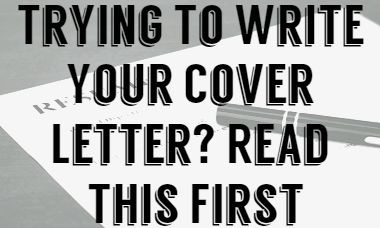 ​https://www.careeradviceguy.com/cover-letter/cover-letter-tips/need-cover-letter-application/​​​Once you've collected your keywords to include in both your CV and Cover Letter, it's time to begin writing. Remember, writing your cover letter should not be a stressful experience and as long as you follow the rules below, really it should not take you more than 30 minutes to finish. Ten years ago, using "to whom it may concern" to address your cover letter was acceptable. Today with the internet and its vast layers of information, it's not acceptable to not use my name. Companies like it when a candidate has done some research and found out the hiring managers name as it shows that you're serious. As a recruiter, it's always a positive start when a candidate emails their cover letter, and it's titled using my name. It shows that you've done a little research and found my name and are not simply just using a standard email. It still surprises me today, the number of CVs that I receive to my LinkedIn.com account that is titled to, "Dear Sir," even though my name is on my profile. Have you ever read a magazine? Even if you're not interested in reading the whole article, you're going to read the first few lines. The same applies to your Cover letter. Recruiters and Hiring Managers will always read the first couple of lines of your Cover Letter, so make sure that you get these right. The first paragraph needs to be straight to the point on why you're sending your Cover Letter and CV to the company. If you're applying to an advert that is online, it can be a good idea to mention that you "saw the advert online or at a specific job board." As always, networking is the easiest and fastest way to find a new job and having a reference is a sure fire way to get your CV read by the hiring manager. If you have a referral from an employee within the company your applying to then, your first paragraph is an excellent place to drop their name into your cover letter. If you don't have a reference, try to expand this first paragraph out to a couple of lines with "Why you want to work for the company." I really would not jump into explaining your relevant qualifications and experience, but would use this section purely to show off your knowledge about the company. Above, we used Google as an example and mentioned that their mission statement is to "organize the world's information and make it universally accessible and useful." Let's imagine we are applying to Google for a role as a software engineer. Our first paragraph could be, "Dear Mr. Page, I am applying for the role of a Senior Software engineer at Google as I want to work for a company that helps to organize the world's information and makes it universally accessible and useful." This would mean that my first paragraph is short, to the point, but also contains relevant keywords about the company that I am applying for and would cover any applicant tracking software they are using. Your second paragraph has two straightforward jobs - Firstly to answer the question, "Why should I be interested in looking at your CV or speaking further with you?" and secondly, "the best place on our cover letter to get in an many relevant keywords that we cannot get into our resume, whilst ensuring that our cover letter still make sense." Packing this part of your cover letter is the key objective; however there is a very fine line between, cramming your cover letter full of relevant keywords and your cover letter just looking stupid, so do watch out. You need to briefly describe your academic and professional qualifications and how these are relevant to the position that you are applying to. You also need to emphasize what you can do for the company and what your goals are in life while tailoring this section as much as possible to a specific company using the research that you completed earlier. You could mention things like "I noticed on your website that you built the company using teams and not individual performances, I am a team player as proven by my ........"
Use this section to outline your desire to meet them in person for a personal interview at their convenience. Some job adverts will require you to include your salary requirements. My advice is not to put down your salary as this will narrow your options. If you are looking for 20K and the employer wants to find someone with a salary of 19K, most likely your CV will go in the bin. When you're signing off your cover letter use "yours sincerely," followed by your name. We have talked a lot about keywords and their importance within your Cover Letter. If you don't want all your hard work wasted, you need to make sure that you send your Cover Letter and CV as one document. Your Cover Letter should be a masterpiece now. 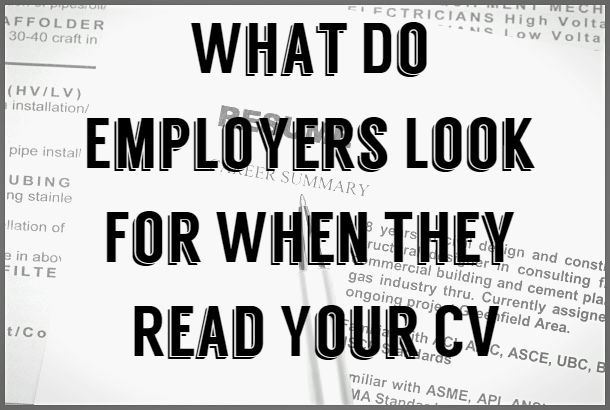 The next step becomes your CV, your Interview Preparation and finding a job.